All councils in WA accept either EP (elemental provisions) or star rating assessments that show compliance to the provisions of the 2015 BCA 2015 NCC. Both types follow the regulations of part 3.12 of volume 2 & part J of volume 1 depending on what class of building you want to build. Although both have the same principal behind them, the difference between the two assessments are that the 'EP' assessments don't show a star rating between 1 & 10 but show the exact requirements for compliance shown as calculation sheets. Star ratings combine all of the calculations from the EP sheets & give them a rating in stars, however they also include information such as overshadowing from adjacent buildings, exact floor, wall, ceiling/roof & window types & the optimum mix for all these items to achieve either a compliance level star rating or up to a 10 star home. What makes a 10 star home in Perth or anywhere in Western Australia? We will be covering this topic in a future news article. Happy building & don't forget we have a free advice service, just log on to us, click on 'contact us' & ask a question, we'll get back to you within the hour (if it's an easy question! ), if it's a bit harder we'll still get back to you within the hour but we'll follow it up with an email later on with the answer. 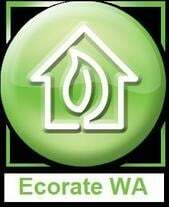 Ecorate WA - WA's No. 1 Energy Efficiency Assessors! ©2011 Ecorate WA. All rights reserved.